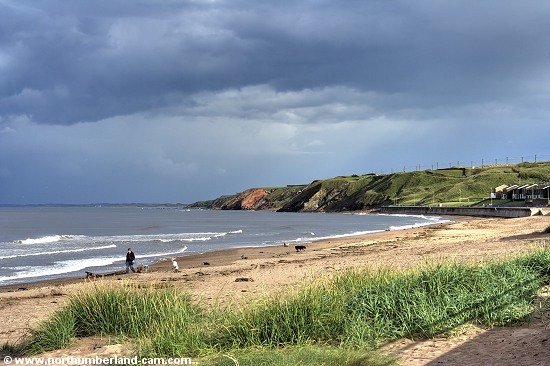 The fine beach at Spittal stretches from the south side of the mouth of the River Tweed to the start of the cliffs at Bears Head. 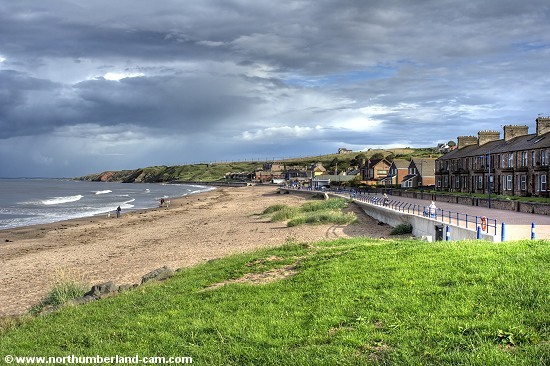 The promenade at Spittal gives a clue to it's history. It was once a busy seaside holiday destination. The building of the (long since gone) railways from the Border towns of Coldstream, Kelso, Hawick and Jedburgh brought thousands of holidaymakers to Spittal and old photos show the beach packed with visitors. Today the beach is much quieter but still popular with walkers and dog owners as well as other visitors and locals. 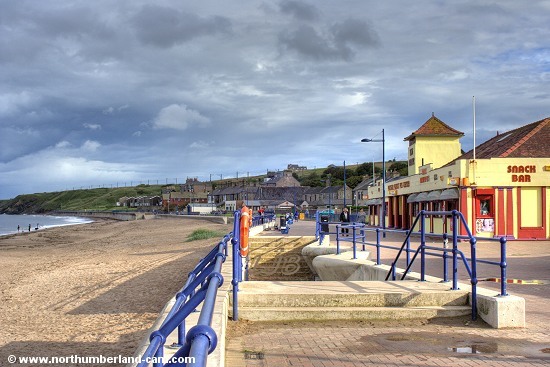 View along the promenade and beach at Spittal. 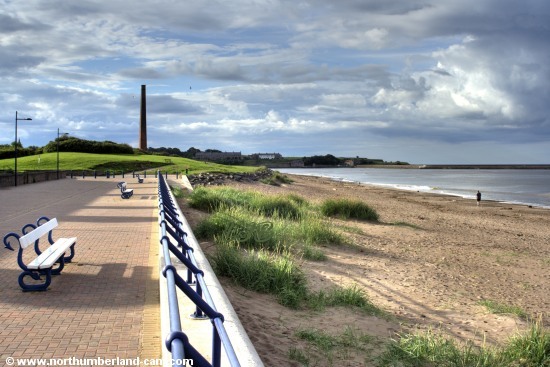 View north along the promenade and beach to the River Tweed and Berwick. View to the south end of the beach.